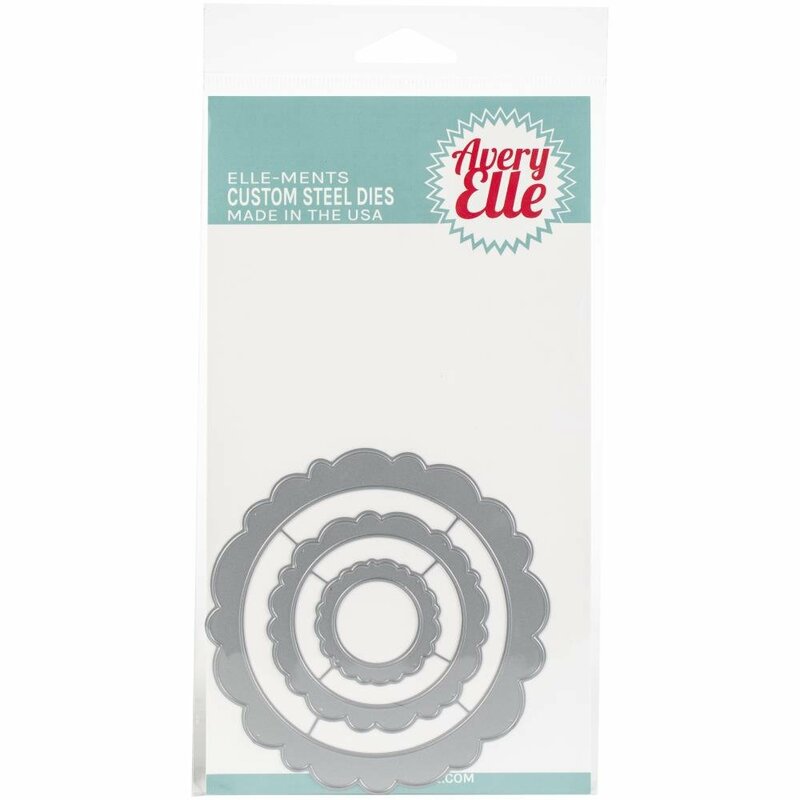 Our Wonky Circles Frames die set consists of 3 different sizes of scalloped circle frames. 3 dies total. Large outer frame measures: 3 3/4"; middle frame measures: 2 7/16"; small inner frame measures: 1 3/8". Our Exclusive Steel Dies are proudly made in the USA.